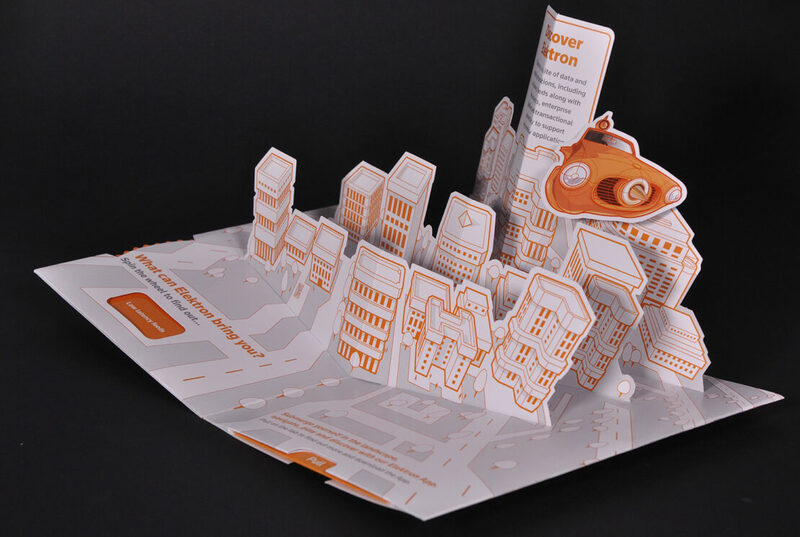 We made these pop-ups for Parker Design Consultants’ client Thomas Reuters. 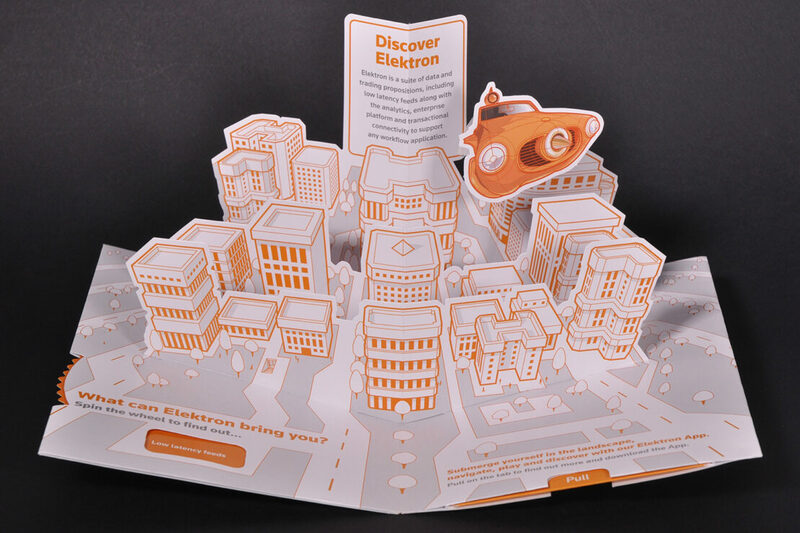 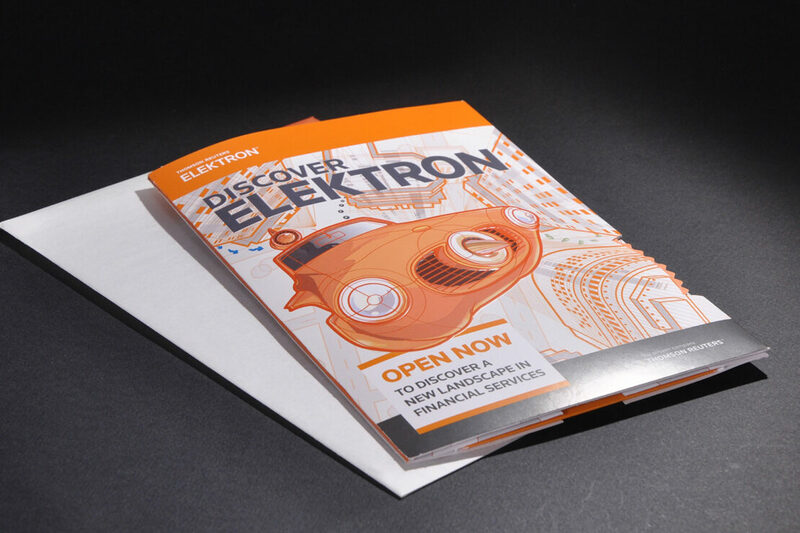 The Pop-up mailer comes in a translucent vellum envelope, and features a 3D emboss on the cover, a magnetic catch, a dial on the left and a pull tab on the right. 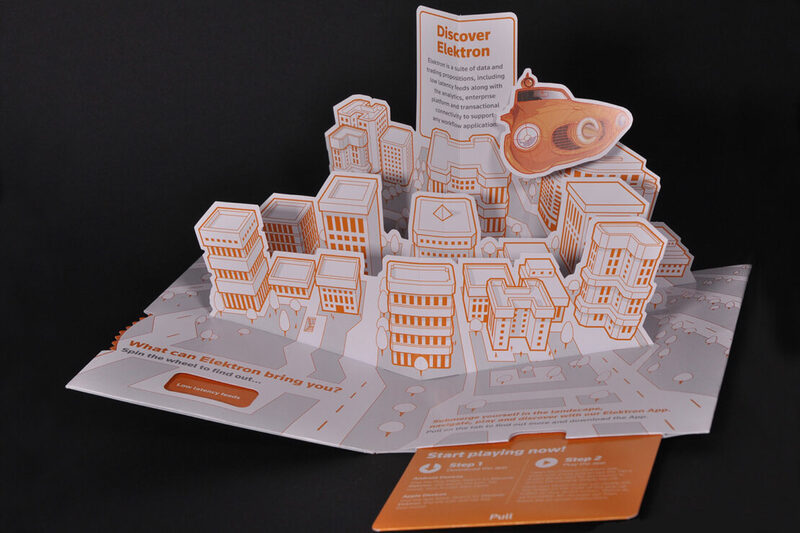 The pop-up is constructed from 3 layers and is finished off with a flying car on a see-through plastic ‘wobbler’!